Licensed PLS with 25+ years experience in a broad range of types of surveys. We offer high quality and professional land survey services, with the personal touch that you deserve. 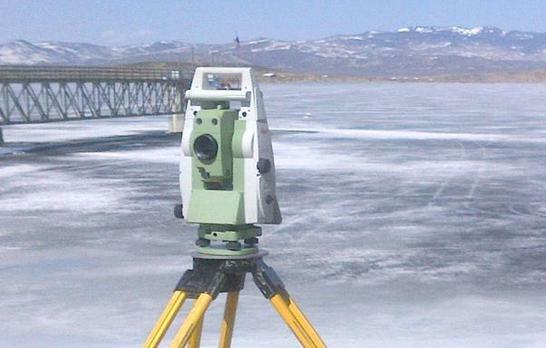 Our GPS and Robotic Total Station provide accuracy and efficiency to your survey. We look forward to taking care of your Land Survey needs. Surveys we offer include: ILC (Improvement Location Certificate), PILC (Site Plan and Improvement Location Certificate), Alta Surveys, Construction Staking, Pin Locates, Boundary Surveys, Improvement Surveys, Elevation Certificates, Legal Descriptions, OPUS Solutions, and Topographic/ Design Surveys. We are now excepting credit cards and direct deposits for your convenience.